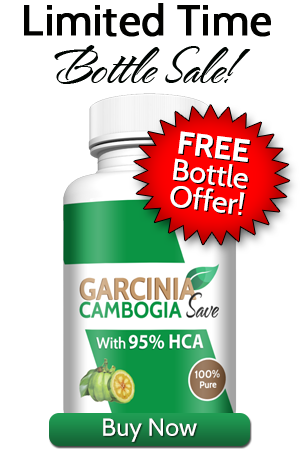 Garcinia Cambogia Save now offers a full 90 day – 100% satisfaction guarantee on all weight loss products. Being in business for quite some time and realizing the phenomenal success we have had with our customers, we are in the unique position to offer this amazing program. 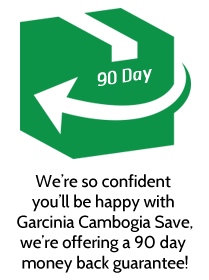 Because we are extremely confident that we possess the best Garcinia Cambogia weight loss product on the market, we stand completely behind our product in all areas. We have been able to gather feedback and testimonials from many of our 100,000 customers that we have so far. We are so confident in our product, that we are able to offer such a unique risk-free money back guarantee. You have absolutely nothing to lose but pounds and inches! 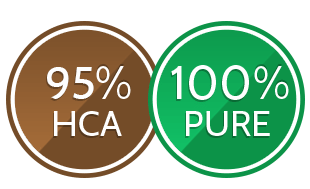 Guarantee is for Garcinia Cambogia Save only. Customer must take Garcinia Cambogia for a minimum of 60 days. Customer must contact Garcinia Cambogia Save within 90 calendar days from purchase date in order to obtain a return authorization number. Packages marked “return to sender” or that do not have an RMA number written on the outside will be returned. Customer is responsible for shipping costs for products that were provided by Garcinia Cambogia Save. After 90 days, all sales are final.